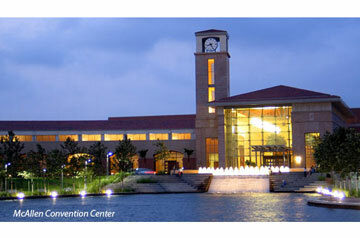 McAllen is the Heart of the Texas tropics with average temperatures around 85 degrees. Restaurants explode with distinct flavor and shopping plus outdoor activities are year round. The low cost of living, strong educational system, medical centers and renowned Arts and Culture are a few reasons many choose to stay under the sunny, blue skies. One of the most affordable cities in the United States, McAllen boasts a small town community feel with metro perks. Sun and sand is near by with a day trip to South Padre Island. The diverse culture, world birding and butterfly events as well as deep rooted local entertainment are just a few reasons many choose to make McAllen their permanent home. Bienvenido!